These stages are dedicated to developing the key criteria for the façades and identifying the principal performance demands. The individual façade systems are identified and rationalised into main types. It is often found that it makes more sense to combine types by systems to allow these to be designed and delivered as a single entity, even with quite extensive variations. We produce a Design Criteria report to capture our proposals for the façade systems, the structure, materials, loading requirements and maintenance. This is carried out as early as possible and circulated in early draft form as a significant coordination tool. The structural coordination is essential throughout Design Development as this part of the design progresses to site first. Coordinating movements and tolerances, as well as support and restraint for the façade, is essential during this stage. Coordination with the services strategy and into the detail of the services models is also key. This allows close coordination of the criteria allowing for economic solutions to be identified and agreed between disciplines that fit the architectural intent and achieve the required standards. interface see the façade design workshops as a key method of maintaining a well coordinated and achievable design. The interfaces are set out in an initial interface schedule developed at this stage to highlight potential ‘risk spots’ to be actioned. We know that the detailing of the façade should always be informed by its most challenging aspects. 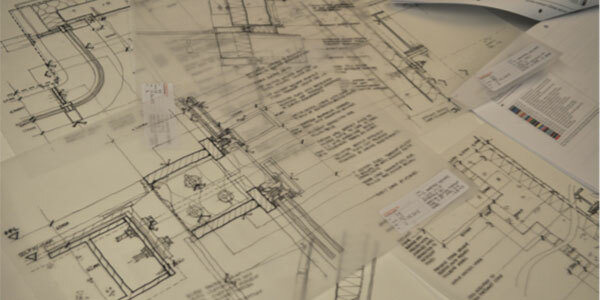 We work closely with the architects on each project, reviewing system proposals and details and preparing options and variations to identify the optimum solution. We also work at 1:5 detail level for systems at this stage, but specific details will be at 1:10 or even 1:20 to allow zone and continuity review. We would carry out specific initial engineering analyses during this stage on areas where this is particularly required. This ensures that performance and structural drivers of the design are understood and resolvable at an early stage. Analyses of the Developed Design Stage promotes efficiency whilst preserving the architectural intent. Our initial engineering analyses include structural and thermal analysis of key areas and determining structural sizes and calculating required U-Values to determine the wall zones needed. We would also carry out a solar study of the buildings to understand the solar incidence on each of the facade and identify the necessity for solar shading on each area and provide the input data needed to evaluate the effectiveness of any solar shading devices at a later stage. A facade with a complex geometry will often have a variety of key construction solutions to be compared. It may be that there is an advantage to present more than one solution, each option presenting different fabrication or installation benefits to the different cladding contractors, but each with its own significant pitfalls. Early identification of these allow close scrutiny and detailed discussion with the team and with cladding contractors. During the Developed Design Stage interface aim to initiate discussions on material options. We advise at this stage on their suitability by refining the selection with appearance, durability, application and cost being considered and scored. We have developed a system that allows considered, rational selections to be made. This ‘decision matrix’ allows the team to not only be sure the various aspects are considered and weighted correctly, but captures this information so that it can be easily referred to at later stages should re-appraisal be needed. We carefully review proposed materials with particular attention to durability maintenance and replacement in mind. 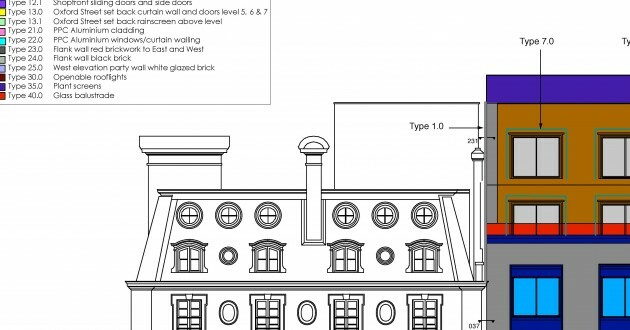 We include all of these considerations and advise in our Design Criteria report. We regularly distribute our consolidated information within our Design Criteria report to all related disciplines, requesting particular feedback from specific teams to progress the facade design and maintain the programme. Within this document we also capture the Design Risks. These are documented along with the suggested mitigation opportunities and any ‘close out’ solutions. Being part of the Design Criteria report allows this register to be regularly updated and where necessary carried through the next stage.